Sergiyev Posad, October 10, Interfax - Examination of relics of Emperor Nicholas's II children crown prince Alexey and princess Maria will soon be over, Patriarch Kirill of Moscow and All Russia said. “We came to agreement with the state authorities that we will make all examinations one more time as from our point of view the expertise held in the 90s was performed with violations. The Church can accept the results of the expertise only if the expertise is irreproachable, no one should have any suspicions. Today these examinations are coming to an end, they are made in several laboratories abroad,” the patriarch said on Saturday speaking with Emperor Nicholas I descendant and the eldest in the Romanov family Prince Dmitry Romanovich in the Holy Trinity – St. Sergius Laura. He assured that the Church respected and trusted scientists. “However, to leave all doubts behind we ask them not to hurry, to do everything as it should be done,” he said. Many people who “are involved in this theme, who consider it important, share this attitude,” the primate said. 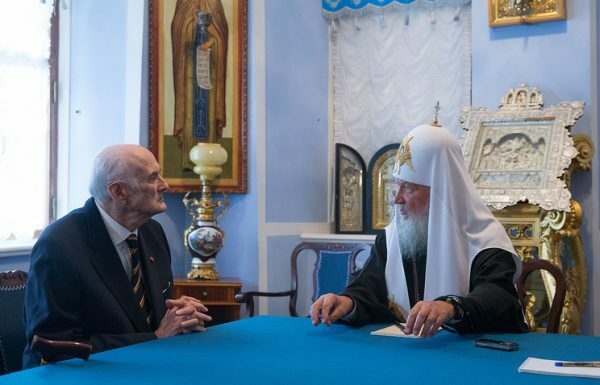 The patriarch also informed that the relics “are coded, no one knows whose relics in what container are, only one person on planet knows it – it is Patriarch Kirill of Moscow and All Russia.” “I have a list made in other people’s presence: we know whosec relics in what container are,” he stressed. Patriarch Kirill also promised to tell Prince Dmitry Romanovich about the results of the expertise. “I hope that everything will be successfully completed. We will certainly inform you about it. Anyway, you will receive the results of this research,” he said.